List and analyze important events that led up to the American Revolutionary War. Recognize and evaluate the various emotions that motivate people to act. Understand how different circumstances and information can change one’s point of view. 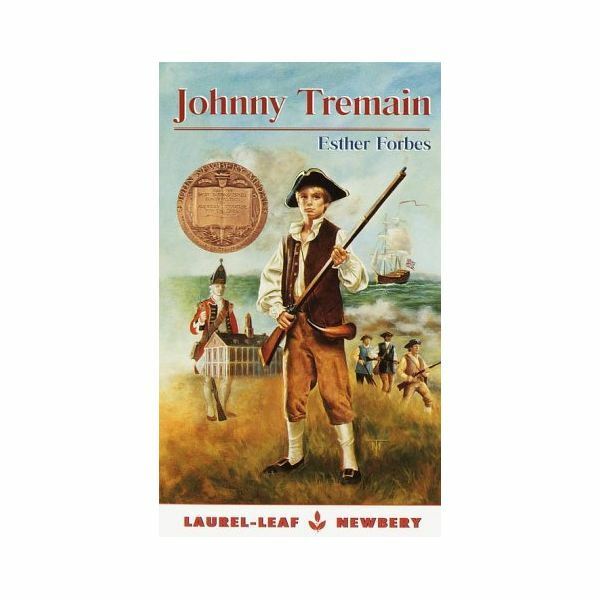 Read the novel, Johnny Tremain by Esther Forbes. Have the students perform a character study of the main characters in the novel. List the various emotions that the characters exhibited throughout the novel. Which characters did you find likable? Which characters did you find unlikable? Explain. Have the students write a short paragraph about how they think they might have acted if they found themselves in Johnny Tremain’s shoes, i.e., handicapped. Should people be permitted to be rude to others because they have a handicap? Have the students read Henry Wadsworth Longfellow’s poem, The Midnight Ride of Paul Revere. Ask the students to analyze the poem. Are there literary elements, such as a setting, plot, characters, conflict that one would find in a novel? How is poetry different from books? Go to Paul Revere’s Ride by Henry Wadsworth Longfellow. As a result of more education and awareness, the colonists refrained from violence. Instead, many battles were fought in court. Divide the students into five groups and have them research and summarize the following pieces of legislation: The Stamp Act of 1765, The Quartering Act of 1765, The Townshend Act of 1767, The Tea Act of 1773 and The Coercive Acts of 1774. Have the students list and discuss the kinds of emotions that the colonists exhibited as a result of these laws. Which of these laws became “the final straw” for the colonists and led to the American Revolutionary War? The Whigs (Americans favoring independence from Great Britain) and The Tories (Americans upholding the cause of the British Crown against the supporters of colonial independence) were the two political groups. Divide the students into two groups and have each group represent one of the parties. Have the students debate the validity of their assigned party’s philosophy. Why was Johnny Tremain relatively ignorant about what was happening when he lived with Mr. Lapham? How did Johnny Tremain become more knowledgeable? Have the students go to the website, The value of money in colonial America-North Carolina Digital History. Using that information, have them solve the following problem. Focus on the major denominations, i.e., pound, shilling, and pence. Secure several newspapers and have the students select ten items to purchase. Have the students write down the article and the price. (Round off all prices, e.g., &29.99 to $30.00, $15.99 to $16.00, etc.) Convert the U.S. dollars to colonial American money and post beside each item. The rights of women, Indentured servants, slaves and Native Americans were not debated during the period leading up to or during the American Revolutionary War. Have the students read the comments made by people during that period. Instruct them to write a short essay as to why these comments were made. Organized a spy system for the colonists – Who is Paul Revere? Webster’s Ninth New Collegiate Dictionary, Merriam-Webster Inc., 1985. Esther Forbes, Johnny Tremain, Random House Children’s Books, N.Y., 1971. Richard Hofstadter, William Miller, Daniel Aaron, The Structure of American History, Prentice-Hall, Inc., N.J., 1973.